A design development workshop undertaken in a remote village called Jhajjar in India. 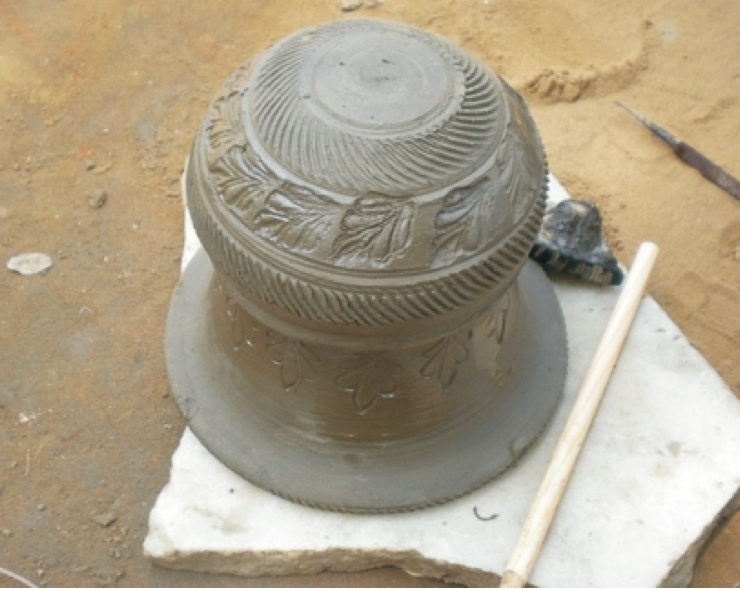 Challenge: The village is known for its traditional style of pottery. However over the years this traditional skill had lost it’s significance in the local economy. Hence, the potters had been forced to abandon pottery and migrate to urban areas for employment. Our initative introduced design interventions with the aim of uplifting this traditional craft. Using techniques the potters were familiar with, we introduced product ranges like garden accessories, lighting and incence holders- which targetted the practical needs of urban customers. We also filed Intellectual Property Rights for Jhajjar Pottery as a whole to help create value, ownership and pride. Recently, this community of potters have been able to export their traditional products to other cities and countries.